I hereby confirm to have read the rules and will follow them. I am also aware that not doing so might result in a permanent ban from the server. Welcome to Manechat! Keep it family friendly and SFW. Breaking the rules will result in being muted, kicked, or banned. Fundamentally, our rules are mostly the same as the /r/mylittlepony subreddit rules, subject to moderator discretion. Be pony-like and kind to other members. Trolling, impersonation, and similar acts are not acceptable! Follow common courtesy in voice chat. Keep it SFW, do not disturb in-progress games with off-topic chatter, and properly calibrate your microphone. Users that consistently create negative experiences for other users will be removed, even if no singular event would be considered severe. No offensive/controversial/nsfw avatars, pictures, emotes, or topics. This means no politics or religion. All discussion, pictures, and any related content about the currently airing or next upcoming episode must be kept in the appropriately named spoiler channel (#mlp-sXeXX) until 48 hours after the end of the episode's Discovery Family airing, even if it may have leaked earlier. All other spoiler content goes in #mlp-spoilers. Do not carelessly spoil important plot points of any media in general, regardless of its age. Shitposting, spamming, and low-effort memes are prohibited. Don’t use excessively illegible characters in usernames or text. Do not exercise excessive roleplay anywhere on the server. This is not the place for RP. Links to other Discord servers, patreons, gofundmes and similar are not allowed. This includes PMing members of the server with spam. Please consider contacting a Princess if someone on the server, without asking for it, PMs you with links of advertisement, publicity, self-promotion or similar. We are not a support group. If you need help, please visit the My Little Support Group subreddit, the My Little Support Group Discord server or contact a local professional in your area. International List of Crisis Hotlines. Do not enforce the rules or try to regulate behaviour, that is exclusively the princesses' responsibility. If you think or feel a rule is being breached, or you have concerns, PM a princess without worry. All Princess decisions are final. Princesses have full discretion to remove content or users deemed unpleasant or unwelcomed by community members. Princesses have full discretion to change channel topics. Respect Discord's Terms of Service. Abusing or exploiting bugs in Sweetie Bot or Discord itself is a bannable offense. If you'd like to appeal a ban or otherwise communicate with the Princesses outside of Discord, you can send a private message to us on Reddit. Certain channels are used for certain activities and discussions. Temporary channels may be created for certain events. Do not clutter the general chat with content that belongs somewhere else. #overflow General discussion channel #2 for when #manechat becomes overcrowded. #announcements Important server announcements are posted here. #mlp-comics For the ongoing Manechat re-read of the comics. 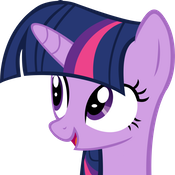 #mylittletheory Spoiler-free lore, story, theories, and/or criticisms about MLP. #mylittlebot Play with Sweetie Bot here. #mlp-sXeXX Spoilers channel to discuss the new or next upcoming episode, and the comics, movies, books, and other media surrounding it. #mlp-spoilers This channel is for anything starting from S9 and onwards. User discretion is advised. #nonmlp-spoilers Any and all spoilers regarding anything non-MLP go here. User discretion is advised. #mylittleactivities Gaming, Fanfic Reading reactions and TSSSF. #mylittlenerds Technical discussions on computer science, math, engineering, and science in general. #mylittlecreativity For focused discussion on your own creative endeavors. #mylittleevents Convention meetups and discussion. We also have many groups you can join for news, organization of events, and coordination of group play. An open source administration bot for Manechat, now available for your own server! Want to post Manechat-related nonsense or contact us outside of Discord? 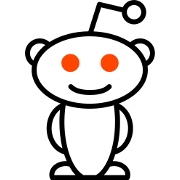 Come visit/subscribe to our subreddit!